Evan Reiley was promoted to associate principal in acoustics in San Francisco. Reiley specializes in acoustics and audiovisual consulting services. He has been with SM&W since 2008 and has more than 20 years of experience in engineering and design consulting in film, music, and post production facilities, screening rooms, luxury home theaters, and performance venues. His areas of expertise include sound isolation, noise control, environmental acoustics, interior acoustics, and audiovisual system design for a mix of commercial, residential, and industrial applications. His projects have included Simplot Corporate Headquarters, King Kekaulike High School Performing Arts Center, Dolby Labs Global Headquarters, Our Lady of Mount Carmel Church, and Doha International Airport. 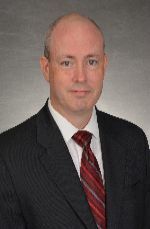 Justin Boberg will become associate principal of security for the Chicago office. Boberg joined SM&W in 2005 and has over fifteen years of experience in operational and technical security consulting and engineering services, including threat assessment surveys, system planning and design, bid award assistance, implementation and contract administration. Boberg is known for his design and implementation of large-scale integrated access control, intrusion detection, closed circuit television, and communication systems throughout a wide range of markets sectors. His projects include National Oceanic and Atmospheric Administration Pacific Region Headquarters, Transbay Headquarters, Museum of Westward Expansion (Gateway Arch Museum), USO Fort Belvoir, and Chickasaw Nation Carl Albert Indian Health Facility. James Ticer was promoted to associate principal for medical equipment planning in New York. Ticer joined SM&W in 2012 and serves as director of medical equipment planning for the NY office. With more than 25 years in the healthcare industry, he is experienced in the assessment, procurement, and management of medical equipment planning projects. Ticer’s leadership role in New York requires him to oversee staffing, planning, and project management for both domestic and international healthcare clients. Stephen Shea will become San Francisco office director. After eight years with SM&W, Shea has stepped into a leadership position. His role as San Francisco office director will include management of client relationships, resource planning, business development, and overall quality control of the office's work product. SM&W San Francisco offers full design, CAD/REVIT and project management consulting service and has experience in corporate, commercial, education, simulation, justice, mixed use, broadcast and transportation sectors. SM&W is delighted to welcome Mr. Shea to this management role.His projects have included San Bernardino County Courthouse, Li Ka Shing Center for Learning and Knowledge at Stanford University School of Medicine, San Francisco International Airport, Transbay Transit Center, and David and Lucile Packard Foundation HQ.